- Upgrading of the back protector C.E. level: C.E. Certified against the EN 1621_2:2014 Level 2. Grid technology embedded on the back protector. - Upgrading of the chest protector C.E. level : C.E. Certified against the pr EN 1621_3:2013 Level 2 full chest type A. 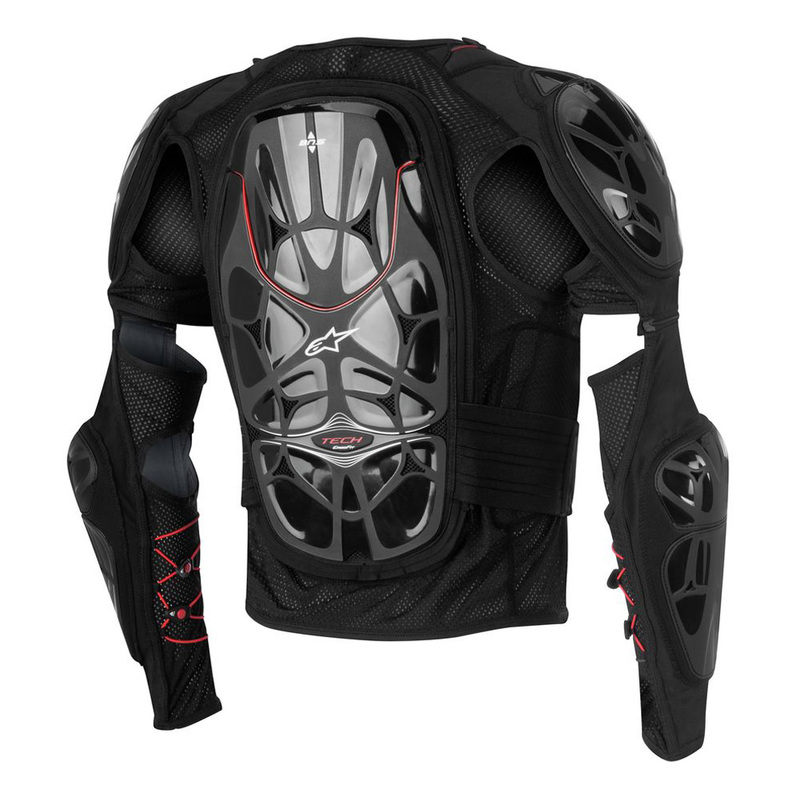 Grid technology embedded on the chest protector. - Shoulder and elbow polyurethane foam with new softer formulation and channeling design for more flexibility. C.E. Certified against the EN 1621_1:2012. - Grid technology makes the product lighter and improves the breathability and air ventilation. - Soft touch Bionic Neck Support (BNS) puller for an easy and safe engagement with the BNS. - New kidney belt system. 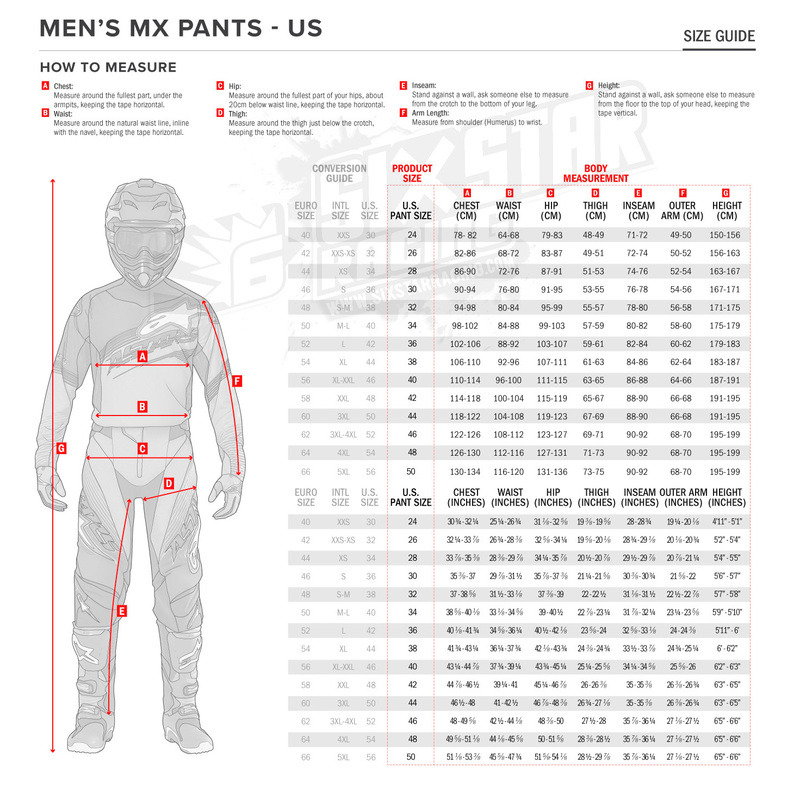 - Highly versatile, modular and customizable fit for different forms of off-road riding is afforded by: removable back protector, removable comfort padding; V-strap kidney belt; cross lacing sleeve (CLS) closures; removable sleeves; full compatibility with BNS protection. - Innovative, C.E. 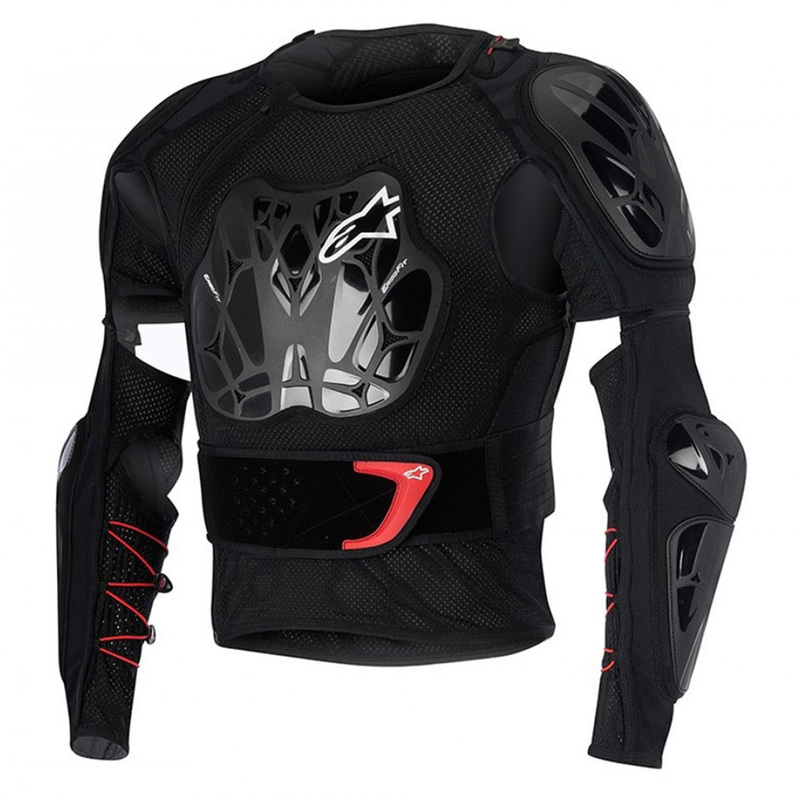 Certified chest protector backed by technical, EVA shock absorbing material which molds to rider's body shape. - Premium, C.E. Certified shoulder and elbow / forearm protectors systems feature: thermoformed 3D polyester padding for comfort and shock absorption; dual protector cup for excellent flexibility and range of movement; protector cups are asymmetric to offer extended protection surfaces, which are contoured to ensure a close fit to keep the protection located and reduce rotation. - Detachable back protector can be removed to further enhance ventilation capabilities or adapted to accommodate BNS. - Protector panels are constructed from a polymer performance blend for optimized flexibility and excellent weight saving properties. Shells are vented and channeled to improve airflow and prevent heat build-up. - Innovative cross lacing system (CLS) for securing sleeves features elastic cord and breathable microfibers to give lightweight and highly customizable fit. CLS significantly reduces risk of arm pump. - Technical, elastane stretch mesh main construction is highly breathable and retains shape. - Strategically-positioned Cordura panels for durability and abrasion resistance. - All components engineered for a reduced material construction garment that is extremely lightweight, slim and highly ventilated. - Convenient pull tab loops on shoulders for secure fitment of Alpinestars BNS. - Removable comfort padding on shoulders, chest and kidney area. - Premium, auto-locking YKK(r) zips for main frontal closure and on detachable sleeves ensures security. Pren 1621-3:2013 / Level 2.